Abstract—Children nowadays are exposed with a variety of reading formats, however their influence on different types has not yet fully explored. This study examines learners’ learning achievement and motivation involving in three different reading formats, i.e., text books, pop-up books, and AR e-books, in the context of natural science instruction focusing on household plants. Study participants of the 4th graders included six classes in northern Taiwan and were paired to form a control group of 43 students, an experimental group A with 52 students, and an experimental group B with 53 students. The results showed that students who learned with the AR e-book demonstrated significant improved learning achievement over those who used the printed textbook. As for learning motivation, no significant difference was found between the printed textbook and pop-up book groups, both were significantly better than that of the AR e-book group. This research contributed to the evaluation of the three reading formats that inherit various degrees in interactivity and digitization. The results could be useful when deciding an appropriate reading format under the consideration of reading comprehension and reading motivation. Further study include the improvement of learning motivation in the AR e-book. Index Terms—Reading, augmented reality, pop-up book, reading material formats. Su-Ju Lu, Mei-Chun Lin, and Fang-Hsuan Lu are with National Taipei University of Education, Taipei, 106, Taiwan (e-mail: lu@tea.ntue.edu.tw). Ying-Chieh Liu is with the Department of Industrial Design, Chang Gung University, and Internal Medicine/Health Promotion Center, Chang Gung Memorial Hospital, Tao Yuan, Taiwan (email: ycl30@mail.cgu.edu.tw). 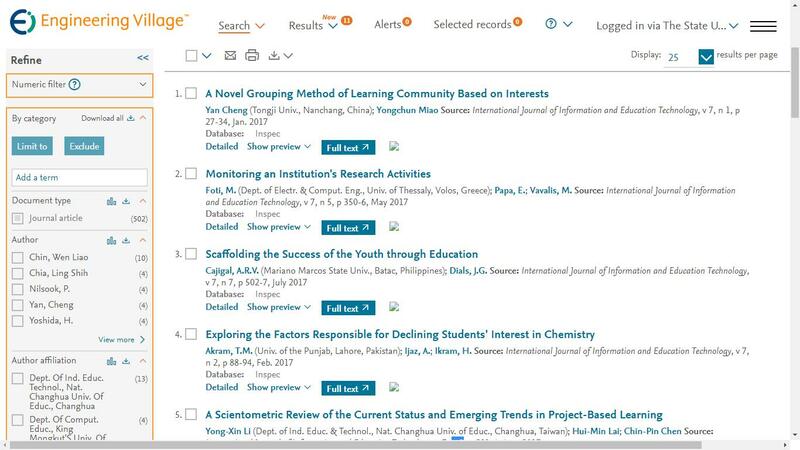 Cite: Su-Ju Lu, Ying-Chieh Liu, Mei-Chun Lin, and Fang-Hsuan Lu, "Evaluating Reading Material Formats on Children Learning in Science Education," International Journal of Information and Education Technology vol. 9, no. 2, pp. 99-104, 2019.